We are proud to announce our 2018 Student Awards as presented at our recent party and awards night on Saturday 15th December. It gives us immense pleasure to confirm that following a Black Belt Degree Grading Examination held today Sunday 3rd June 2018, under the direction of Mr Walkinshaw V Degree, the following promotions. As always we’d like to thank Master Bradshaw for taking the time out of his busy schedule to conduct the promotion test. 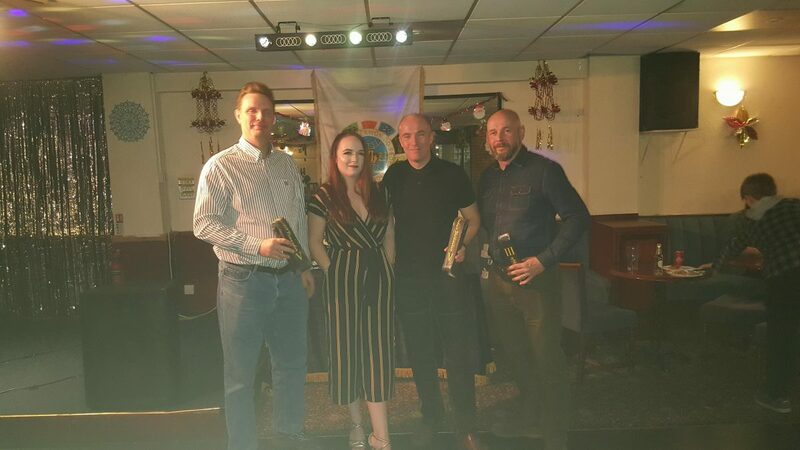 Also congratulations to the newly promoted gentlemen, pictured receiving their new belts from our vice president Miss Lyndsay Walkinshaw. We are very happy to confirm the promotion of the following students to their next belt grade. It’s that time of year again when we start to think about awards and the end of another successful year. 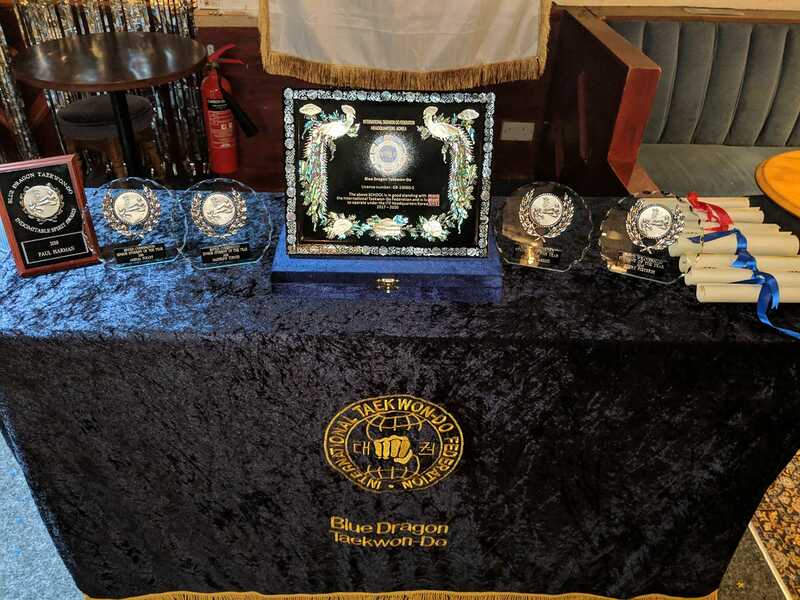 As with previous years we are holding our annual end of year party and awards night at The Gladstone Club in Northwich. The date this year is going to be Saturday 16th December 2017 from 7.30pm onwards. There will be a sumptuous buffet, disco, fully licensed bar and we will be presenting new belts to everyone who passes their grading the day before. 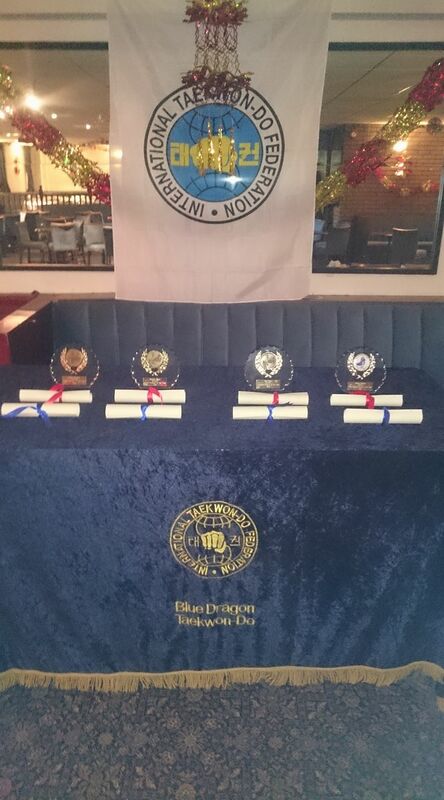 We will also be awarding Student of the Year and Most Improved Student for each club. Tickets will be on sale from the end of October and will be at the same price as previous years. £7.50 for adults, £5.00 for kids and £20 for a family ticket (2 kids & 2 adults). Please contact your instructor for tickets. It gives us immense pleasure to confirm that following a Black Belt Degree Grading Examination held today Sunday 11th June 2017, under the direction of Master Gary Bradshaw VII Degree, the following promotions. 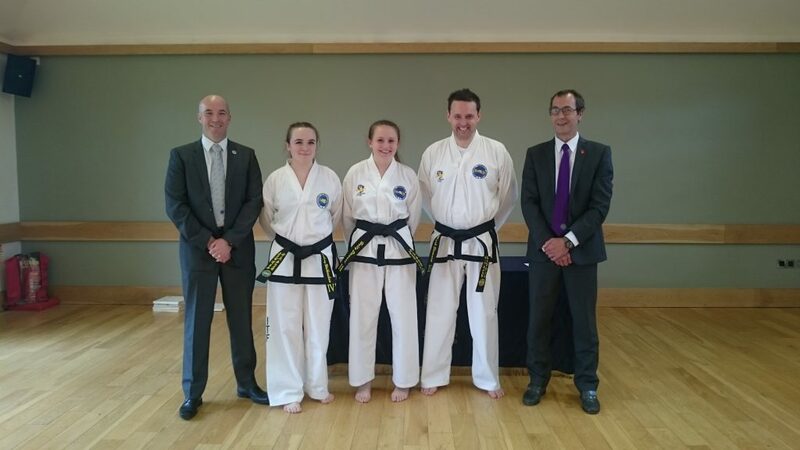 On Friday 31st March a colour belt promotion test was held in accordance with Unified ITF grading criteria. We have pleasure to announce the following candidates were successfully promoted to their next belt grade. Each year the instructors select a number of deserving members to receive awards including the most improved student and the coveted student of the year.